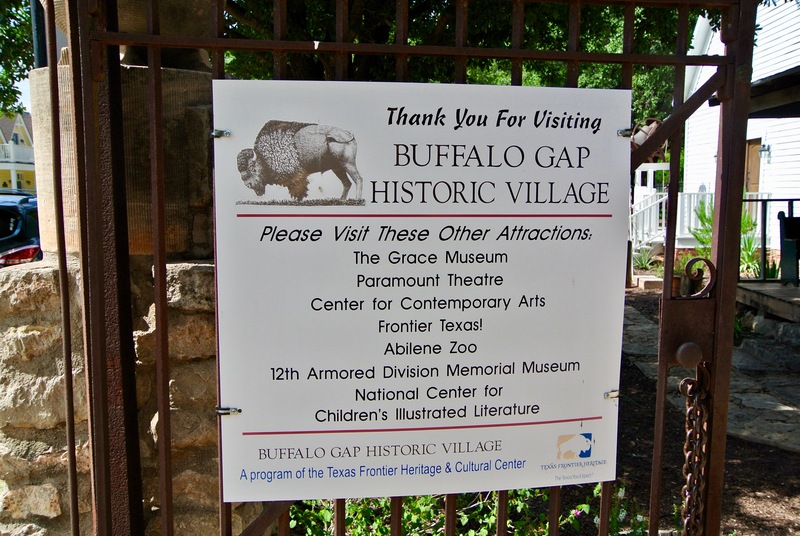 I was the guest of Abilene and Taylor County on Thanksgiving Day, November 28, 2013, and I returned to photograph the original county courthouse in Buffalo Gap on July 5, 2015. 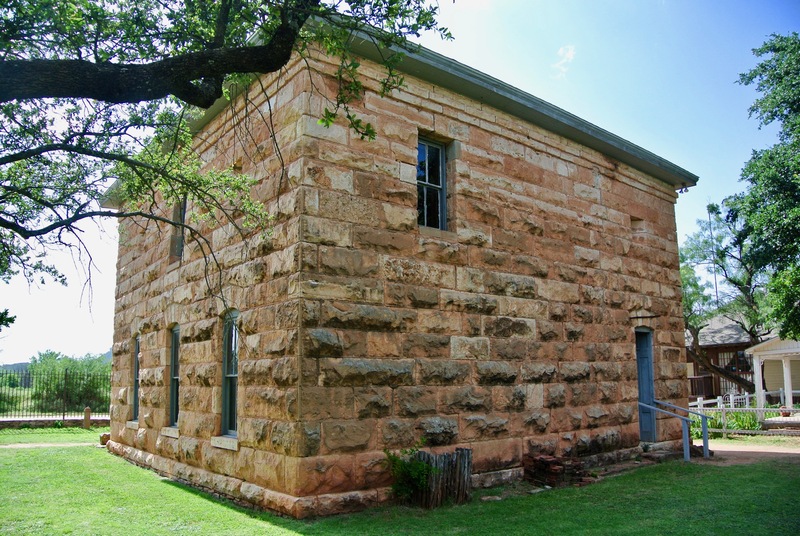 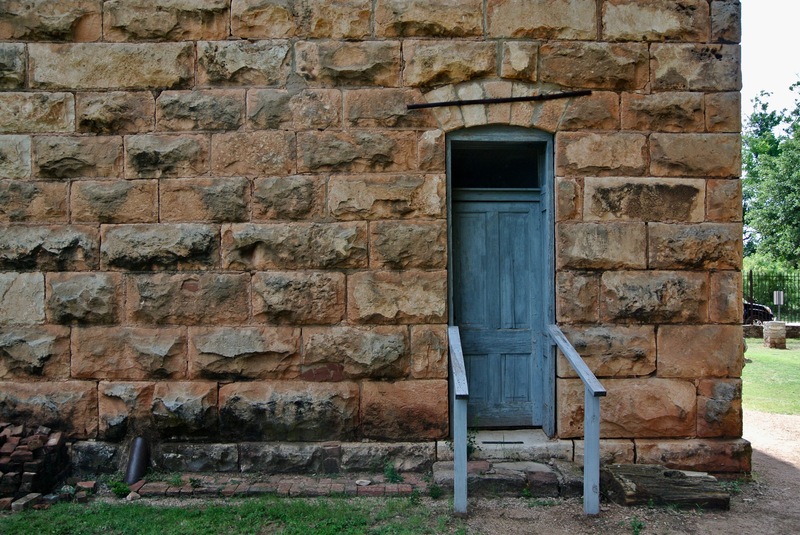 Dating from its construction period between 1879 and 1880, the original Taylor County Courthouse is the oldest building still standing in the village of Buffalo Gap and is also one of the oldest recorded buildings remaining in the entire county. 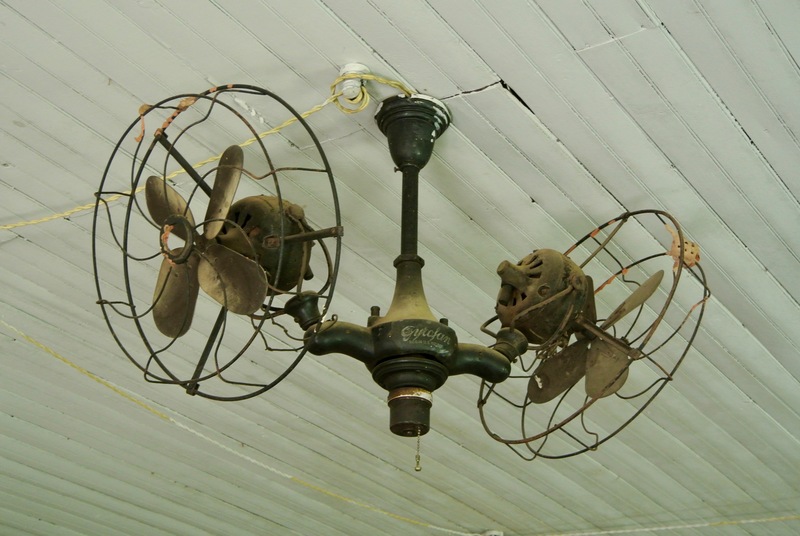 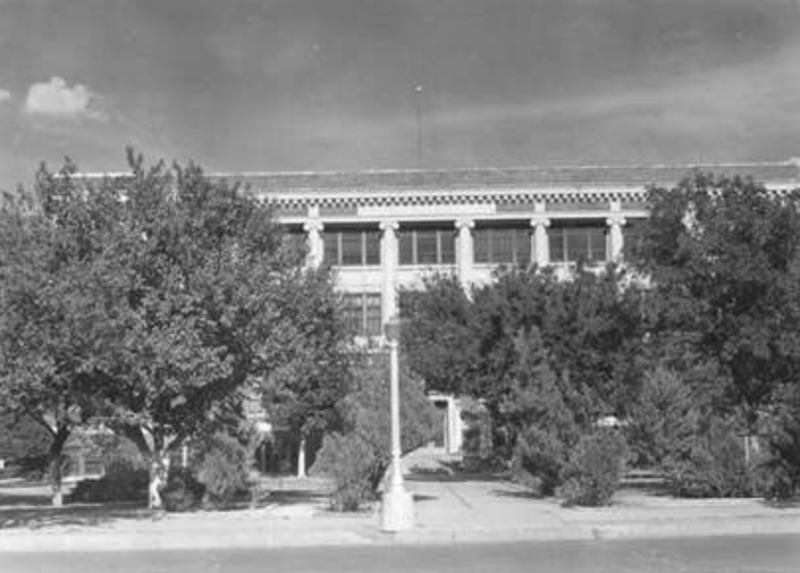 Martin, Byrne, and Johnston served as contractors, and are assumed to have drawn up its designs as well. 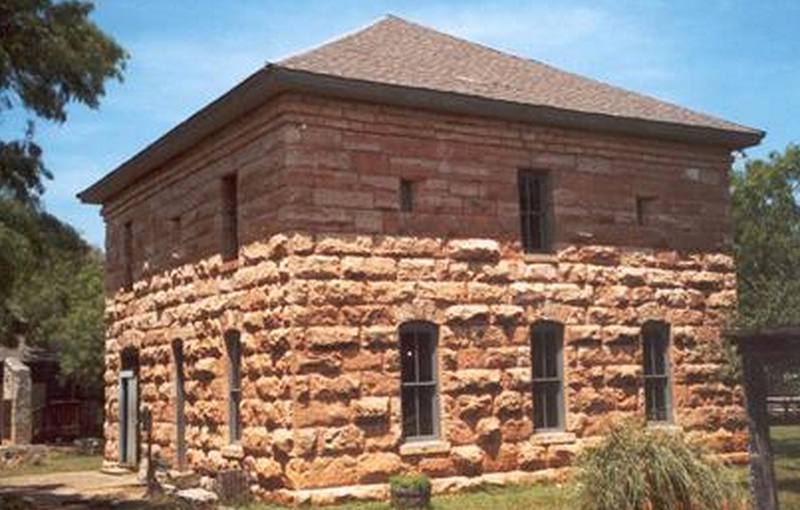 The courthouse was completed on May 20, 1880, nearly two years after the county was organized. 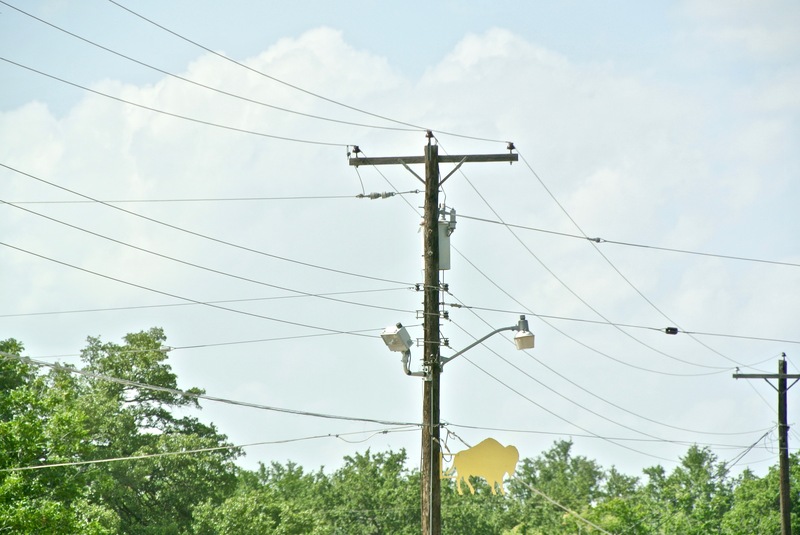 The delay is attributed to Indian scares and lack of funds. 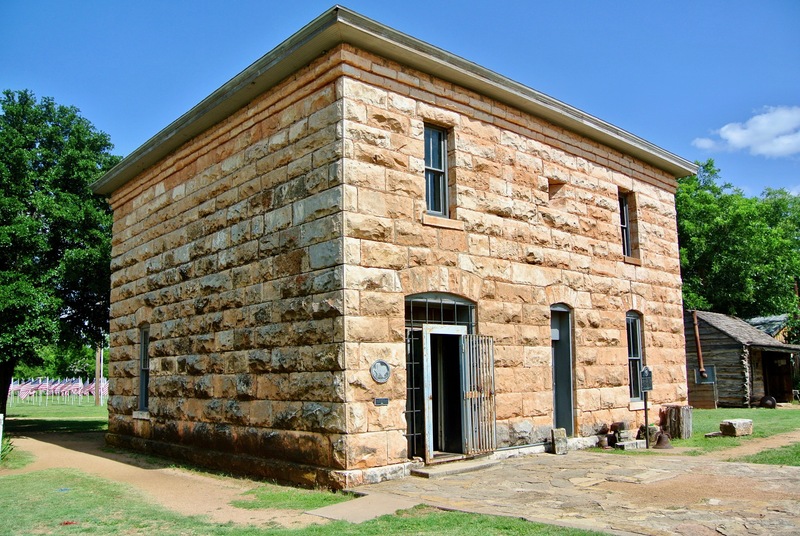 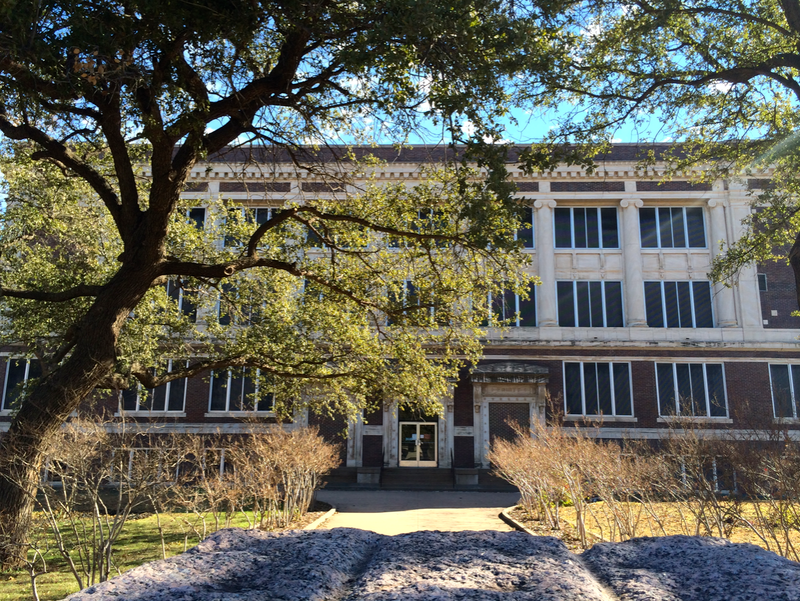 Several records indicate this courthouse was also a frequent scene of breakouts and lynchings. 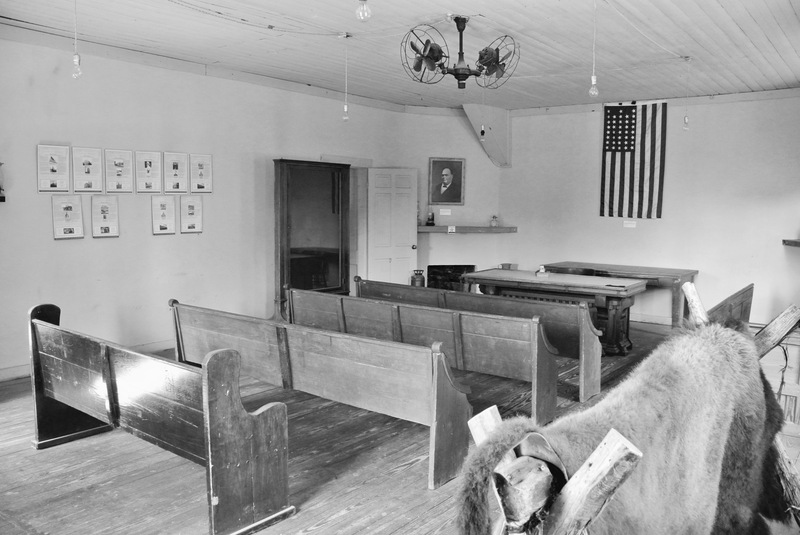 It’s a noteworthy testament to frontier justice that operates as a county museum today. 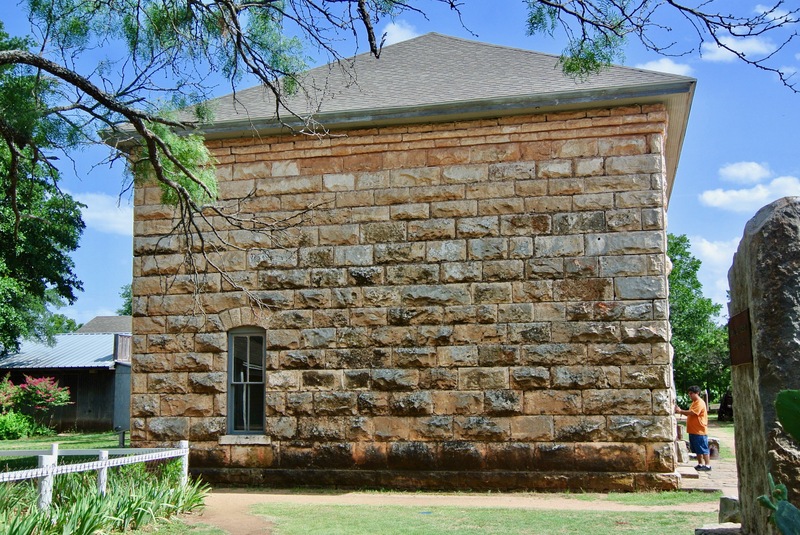 The historic courthouse faces west on William Street in downtown Buffalo Gap. 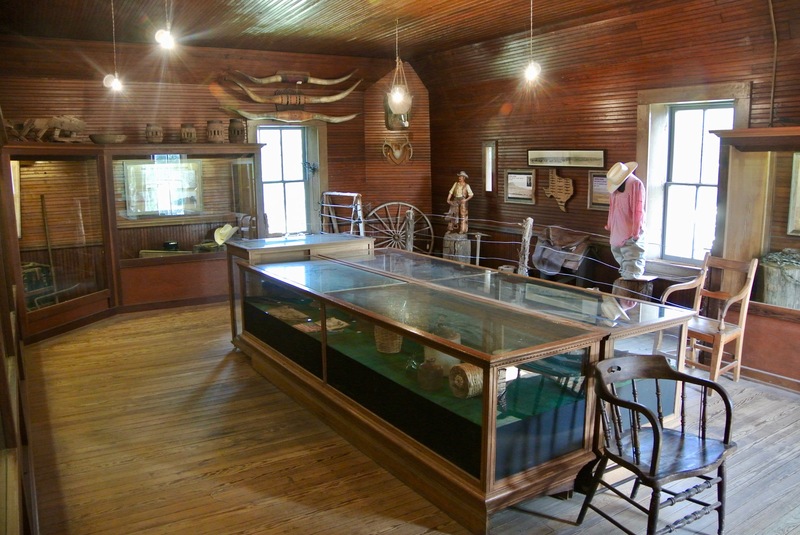 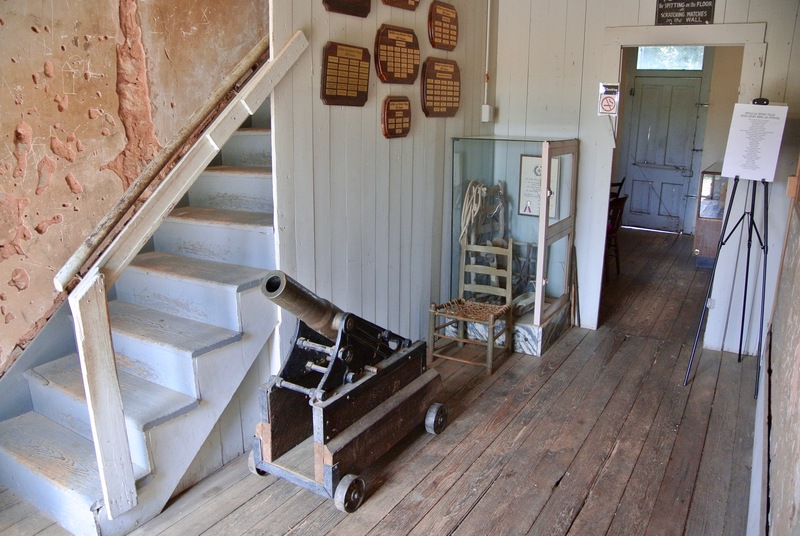 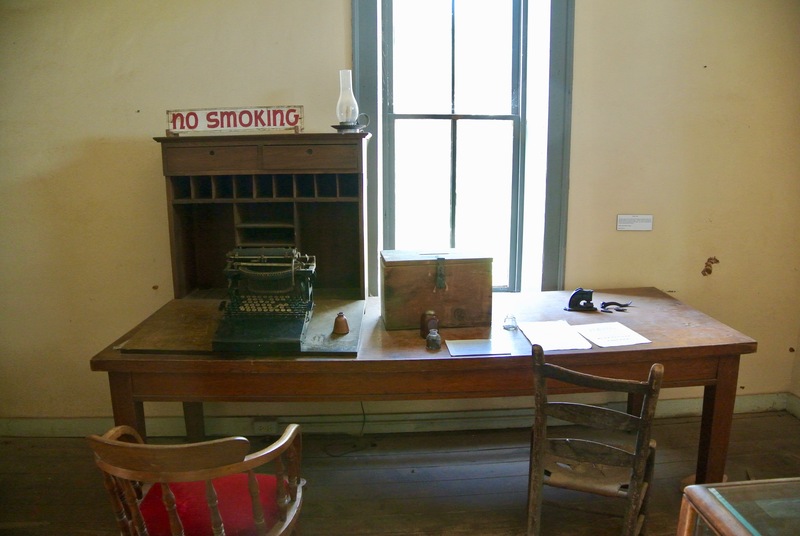 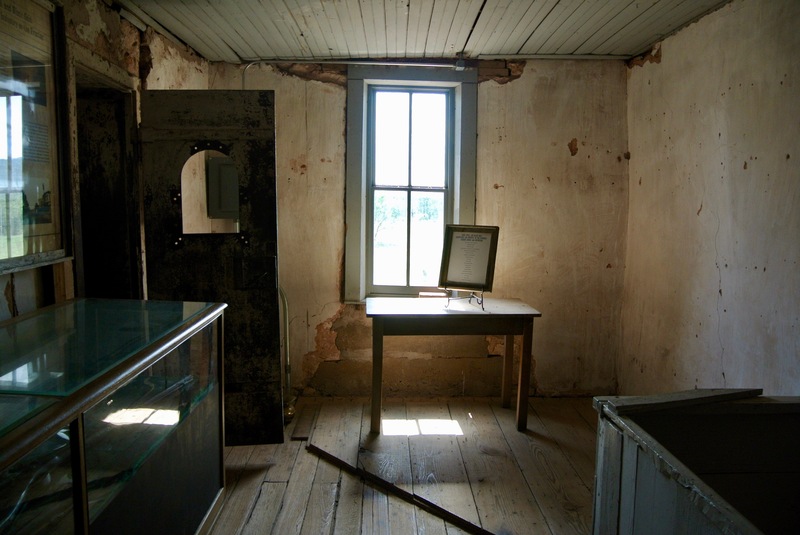 The interior of the courthouse today is set up as a museum devoted to Taylor County history. 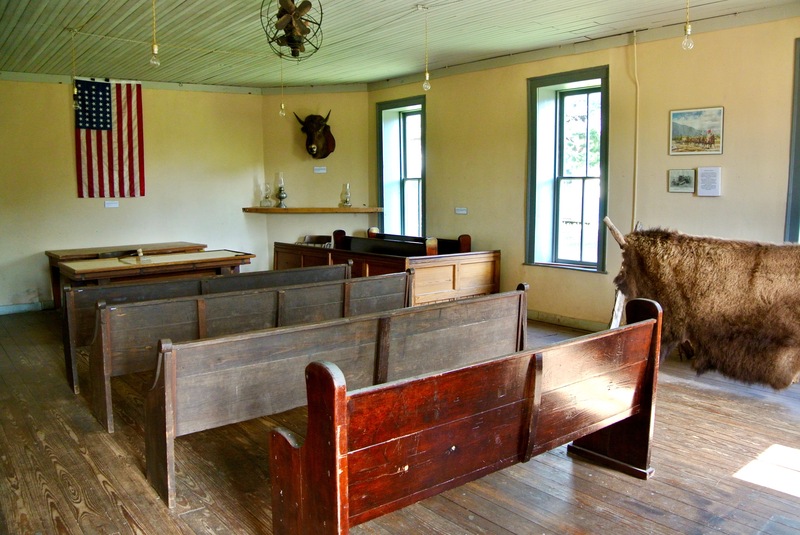 The historic courtroom is on the first floor, a rarity among most courthouses. 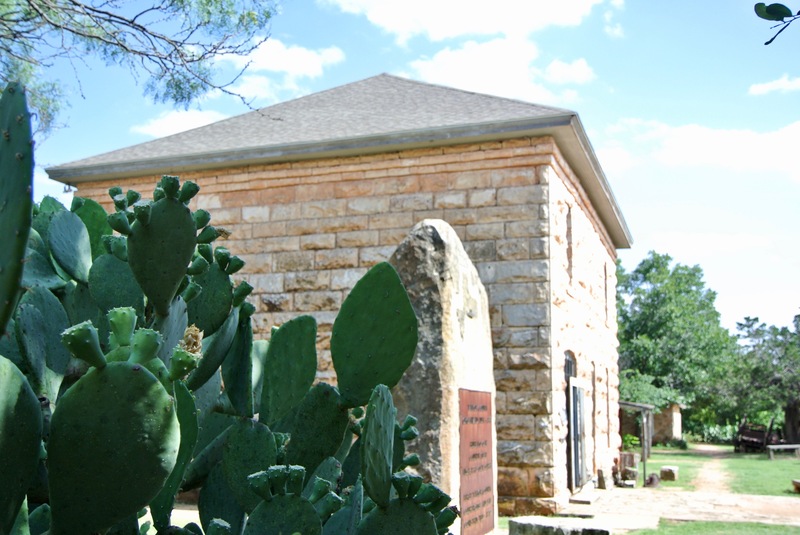 While the architect is not officially documented anywhere, this design is often attributed to Jasper Newton Preston of Austin. 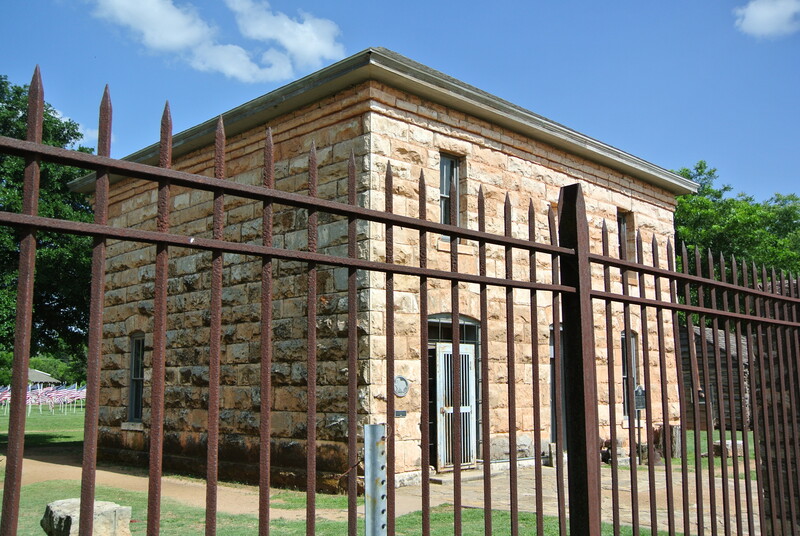 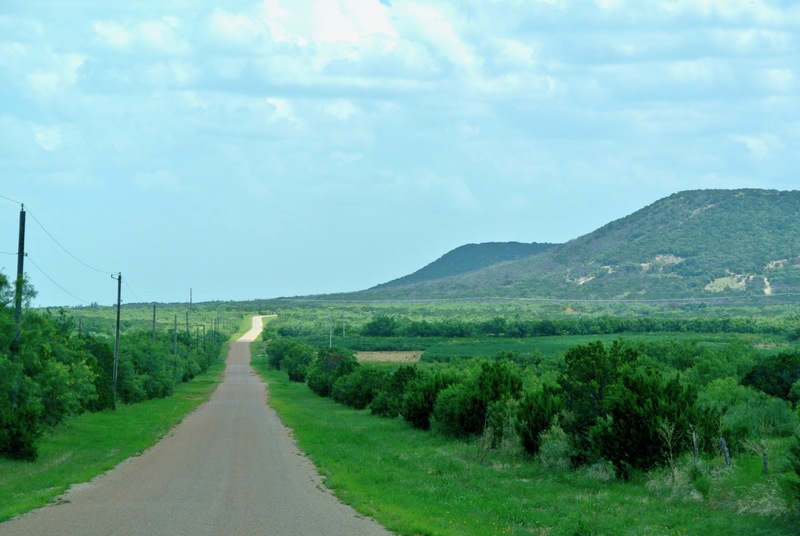 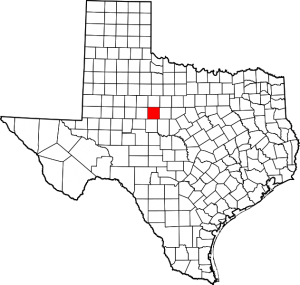 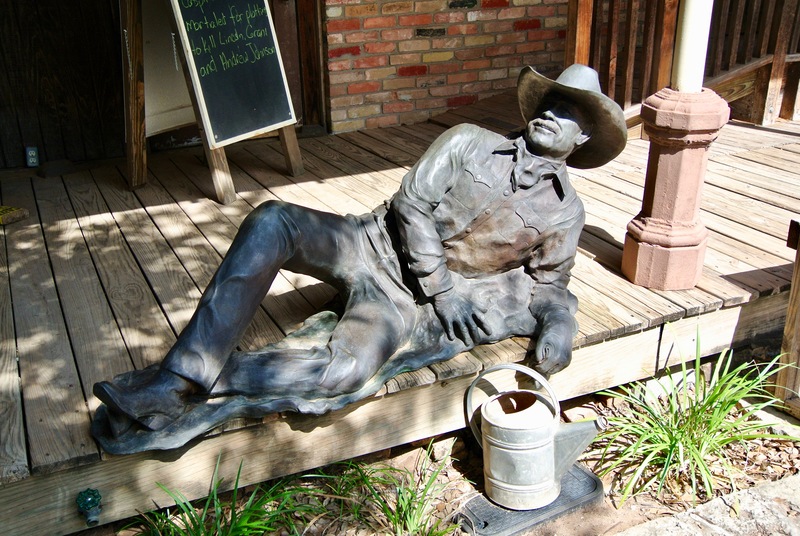 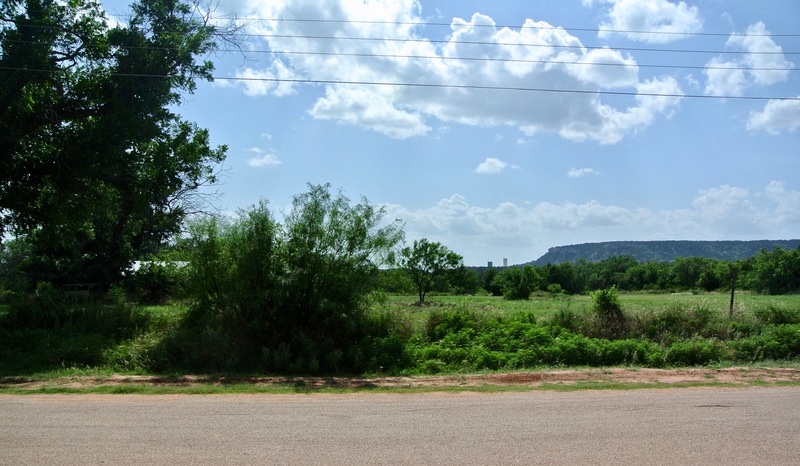 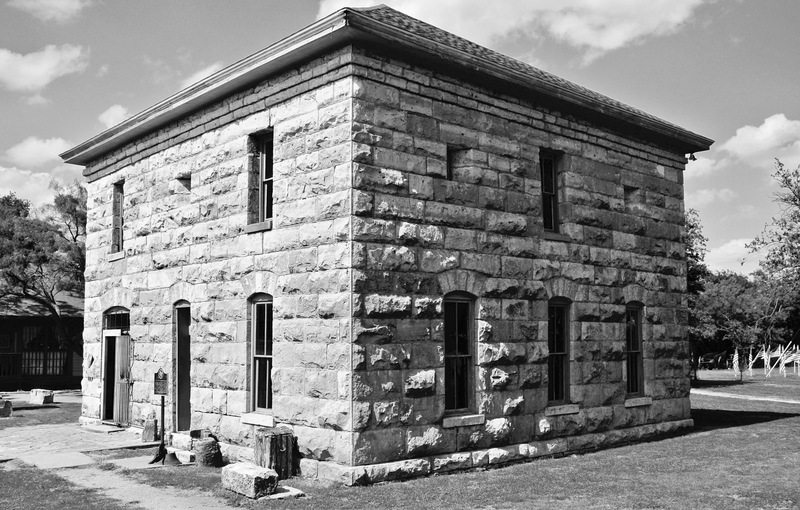 It came into existence in 1883, three years after the Buffalo Gap courthouse was built and the same year Abilene was designated as the new county seat. 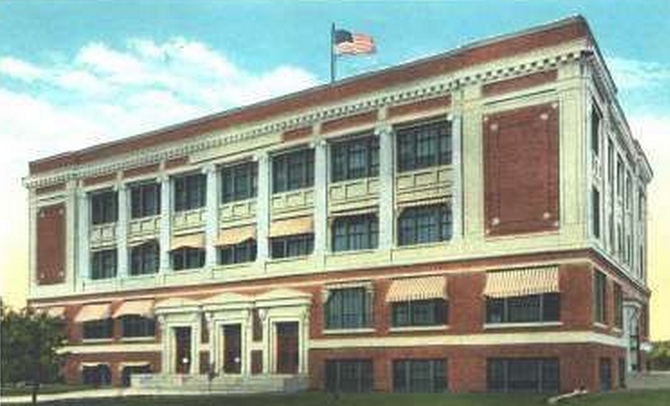 No time was wasted in constructing a proper courthouse there, but it was demolished thirty-two years later in 1915. 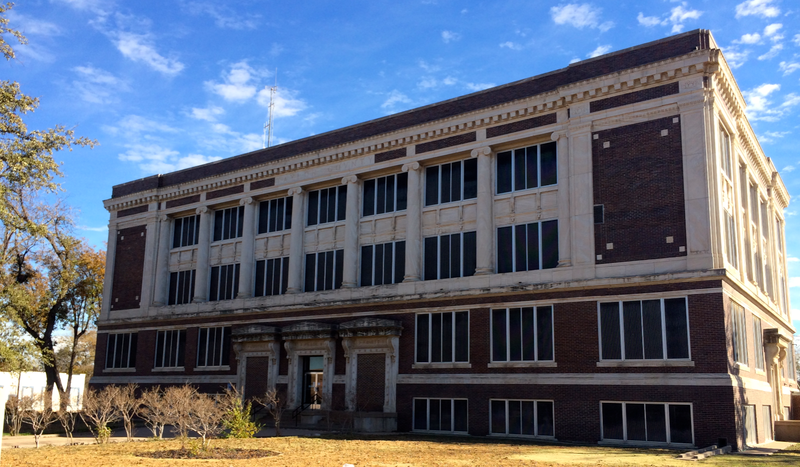 Rising from the rubble of the previous courthouse came this three-story, brick, Classical Revival design of George Burnett (of Waco). 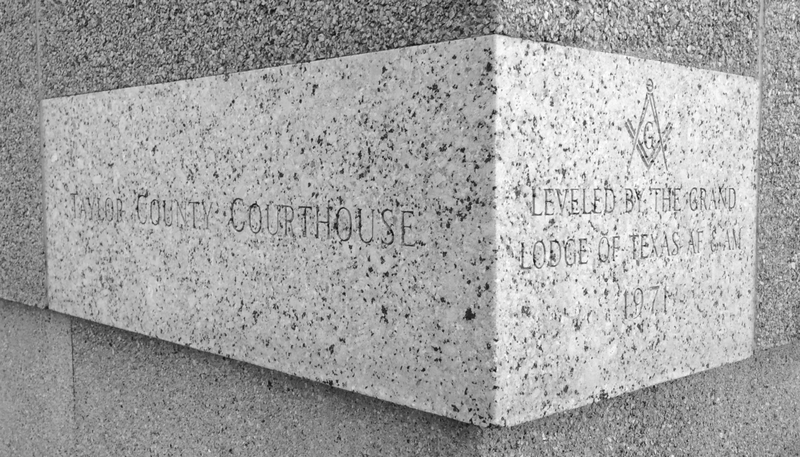 A.Z. 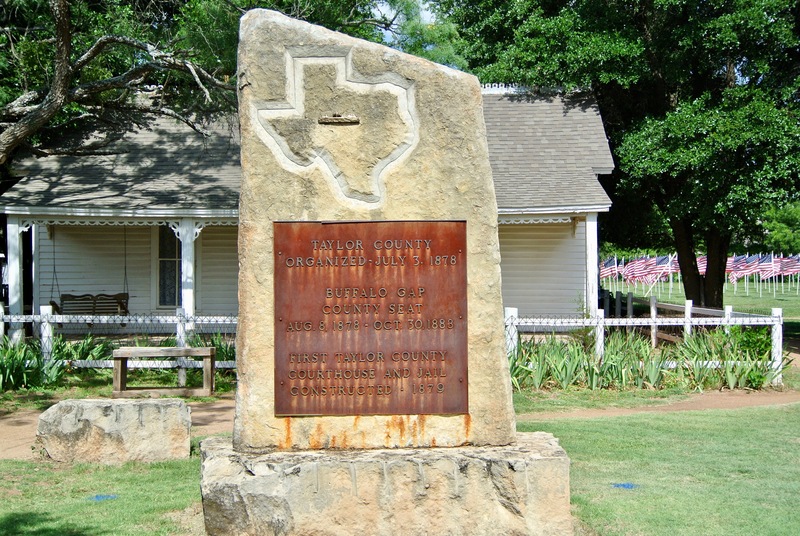 Rogers served as contractor. 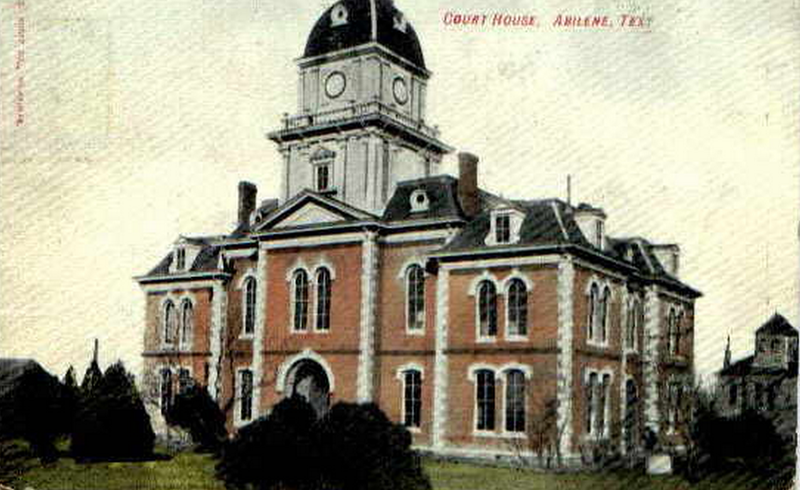 This courthouse still stands in downtown Abilene, just across the street from the current one. 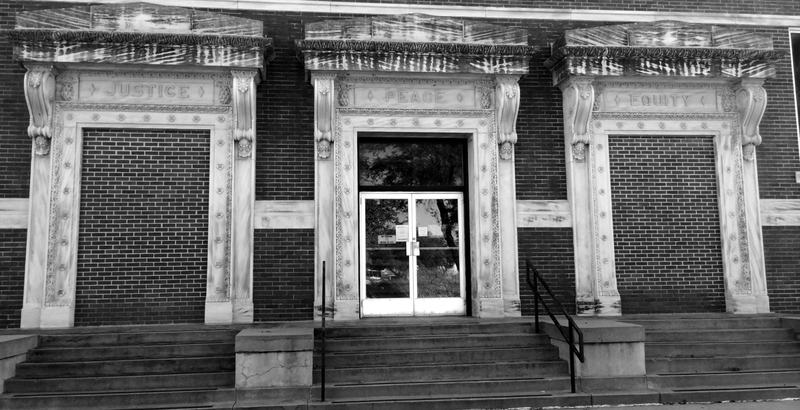 The main façade faces west, on Oak Street. 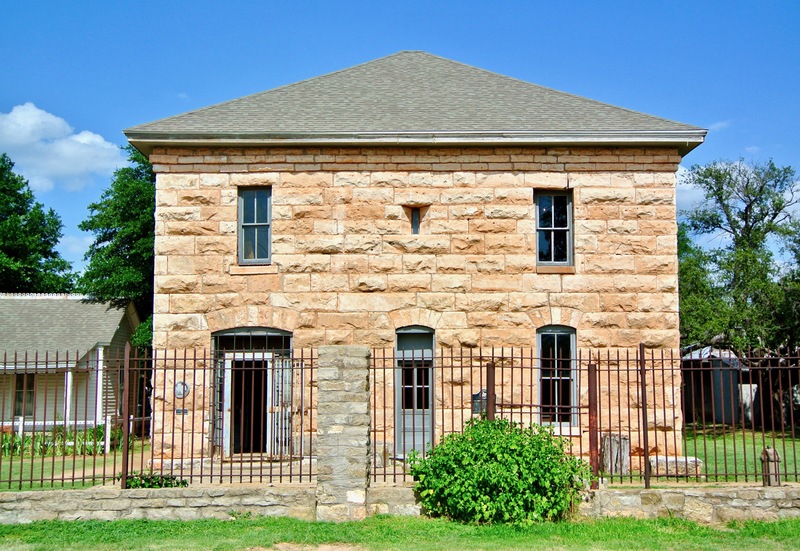 Some county offices are kept here, making this one of the oldest courthouse annexes in the state. 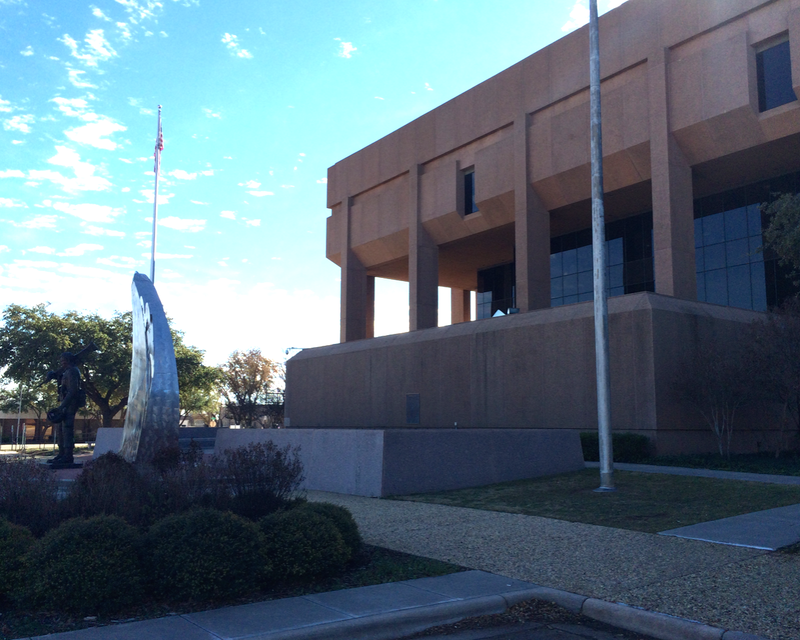 Tittle, Luther, Loving, and Lee (of Abilene) was the architectural firm responsible for the towering, modern design in use today. 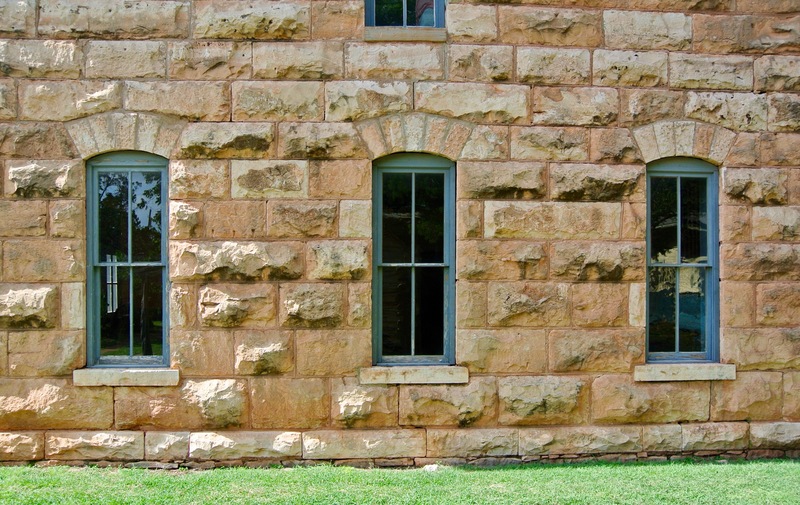 Contractors on hand were from Rose & Sons, Inc., who constructed the courthouse from concrete and pink granite. 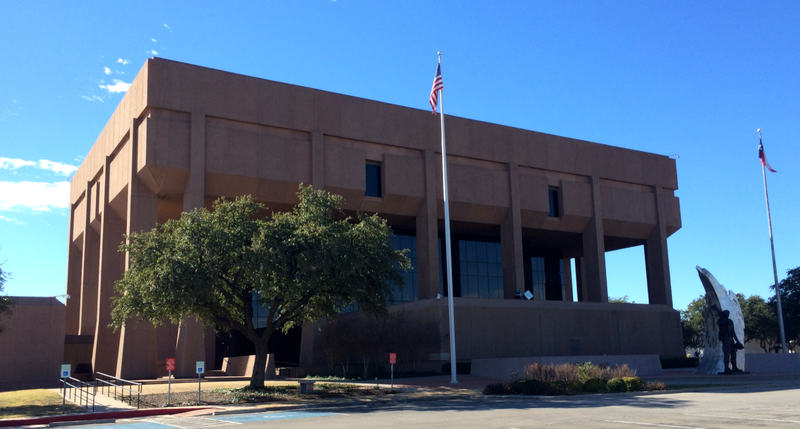 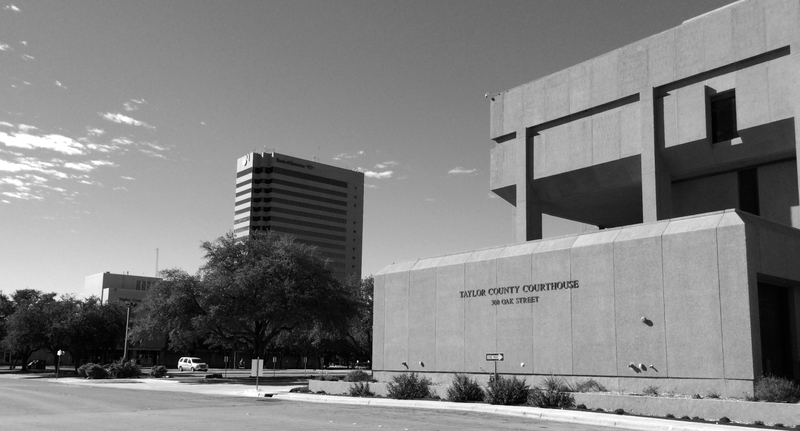 Taylor County’s modern courthouse dominates its surroundings. 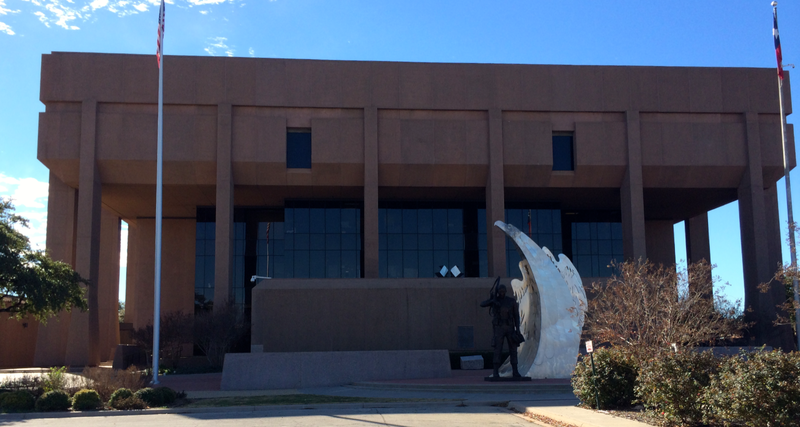 The northern (and main) façade looks out upon 2nd Street and Downtown Abilene. 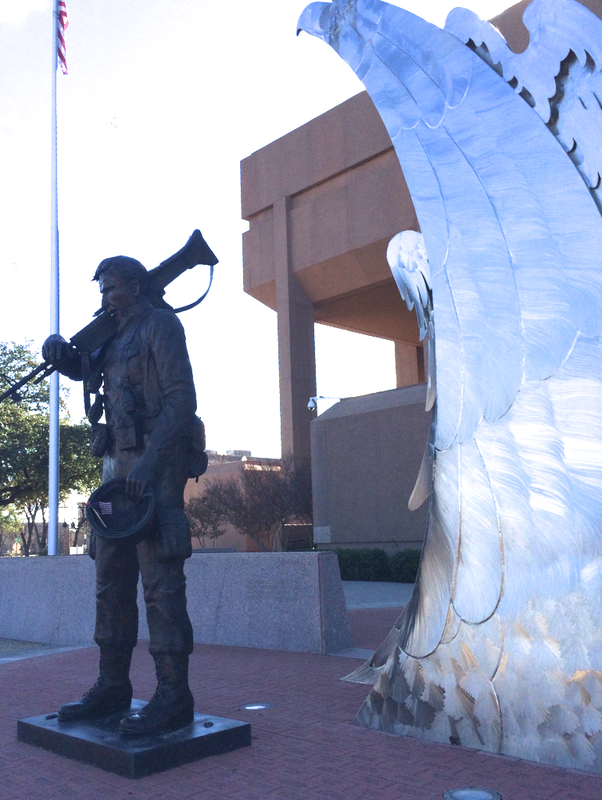 An impressive veterans memorial graces the northern entrance.